Do you want to attract local customers? Local SEO provides a rare opportunity to create your own little niche within your local community. For example, every town needs a hardware store, but you don’t need to have the most revolutionary hardware options on the market. Your location is the niche, and embracing that with your SEO is crucial to pulling in more customers, because people make their local purchasing decisions based on one recommendation source: Google. I figured it would serve as a handy tool if I put together a shortlist for everyone to print out and check in with on a regular basis. Since brick and mortar businesses live and die based on their local marketing efforts, use this as your small business SEO cheat sheet. But for more information check out our Local SEO guide. From Google My Business to Yahoo Local, optimized local listing pages are a quick way to create an identity at the top of the search engines. Not only that, but these local listing pages link to your websites and improve your SEO. Sometimes you have to make a page, but in general you simply have to claim the pages. I would recommend searching for directories focused just on your industry as well. The ultimate goal is to have the best Google My Business listing. For local businesses, it could mean having your business show up on the first page above some of the organic search results. To get started, add or claim your business on Google My Business. When you create your profile, fill out as much information as possible and upload supplementary photos of your business. Once your listing is live make sure to encourage your customers to write reviews of their experience on Google My Business. Each positive review helps to solidify your place in the local market as an authority in your industry. Our local business directory has clean and verified information for businesses. We organize our listings by geographical location and industry. Allowing our customers the opportunity to effectively offer another trusted data point for search engines and clients to reference. Yelp is one of the most well-known local search directories. You can add or claim your business listing for free and add photos and lots of additional details beyond just your contact information. Listings on Yelp have a positive effect on search rankings for Bing, Yahoo and Siri. Yellow Pages allows businesses to add or claim free listings that include an extended description of their business, multiple categories and a link. You can also add additional photos for the business listing. Bing Places allows you to add or claim a free listing with up to nine photos for your business. Yahoo Local is an important piece to your local citation mission. You can add or claim a basic listing for free. Foursquare has over 50 million people use their platform to discover local businesses and share what they love about them with others. A more modern twist on Yelp with an easier user interface but worth the effort to claim your listing. Your business address or phone number might be connected to another business online. Partially because everything is recycled from time to time. Also if you have a business which has multiple employees, like a law firm, you might have numerous people connected to your physical location. The best way to find this out is to search your phone number or address in Google, Yahoo, or Bing. Do you run a local flower shop? Why are you not publishing articles about the coolest things to do in your neighborhood this summer? It may not relate directly to flowers, but it connects to your business because your company is an integral part of the community. Not to mention, these articles can get huge shares on social media and lead to lots of visitors on your website. A Keyword Planner is a wonderful tool for figuring out the right keywords to target. When people search for local companies they generally type in the town first and then some words relating to your business. For example, you might do well with Naples Dentists vs. Dentists Naples FL. Want to try some other ways to get keyword ideas? Try typing in your keyword ideas in Google search, then scroll down to the bottom to see the related searches. Find these keywords and make a list of the best performing ones. Don’t overstuff your website, but start to scatter the best performing keywords throughout your site. Your website content should be more than a list of keywords. Instead, use your primary keyword in merely 2-5% of your conversation. Especially if it is a long-tail keyword. How many times can you really use a keyword like New York air conditioner repair in a sentence after all without sounding stodgy and boring? Most blogs hear the idea of keywords and think more is better. Like everything else, moderation is best. Google has slammed a lot of blogs who just stuff keywords into everything they write. Back in the early years of search engines, a business could easily manipulate page ranking on Google’s SERP with keyword stuffing. Keyword stuffing is now considered a black hat tactic. If you run into trouble, check your competitors keywords for tips. Every town, country, city and village has publications that are looking for stories. If you released a funny new flavor ice cream at your ice cream parlor, share this with the local newspaper. I would highly recommend seeking out travel blogs or websites that focus on your area. These are usually easier to land stories on and the good ones have huge followings – often times more than your newspapers. Its the medias job to constantly cover new and upcoming news. You are actually doing them a favor by bringing topics to the attention. Building a friendship with the local media can help you in the future promote your business. Mobile responsiveness is a huge part of your SEO strategy, so make sure you’re using a website theme that morphs into viewable components when seen on a tablet or smartphone. Check to see how the site works on browsers like Chrome, Safari and Opera. Having a positive rating can help lift your business in search results, especially on sites that allow visitors to sort businesses by positive ratings. Only legitimate reviews are going to help your SEO, but it’s not a bad thing to ask your customers to leave you honest reviews on sites like Yelp, Google My Business or even Angie’s List. This is one of those strange parts of SEO that doesn’t seem fair, but it must have your attention. All of your websites and directory listings must have your contact information like the business name, address and phone number. It gets weird in that it must remain exact across all sites. So, if you have Maple Street on one site and Maple St on another, this could hurt your SEO. Social media is great because you can test it out for free. Do your customers love you on Pinterest but never interact on Facebook? Get rid of Facebook and put all your energy into Pinterest. The best advice I can give you to optimize your Facebook page for local search is to make sure you set up your page as a local business. This might seem simple to some but Facebook gives you several options when creating your page. But if you are interested in local customers then create your Facebook page accordingly. After your Facebook page has been set up as a local business, make sure to completely fill out your contact information, street address and business hours. If you have a home based business just include your City, Sate and Zip code. A complete profile gives you more credibility with search engines and helps to create a clear consistency with your NAP (Name, Address and Phone Number). Visual content plays a huge role in SEO, since it improves the user experience, and search engines can detect when a customer is bored or not interested in your content. 40% of people will respond better to visual information than plain text. And viewers spend 100% more time on pages with videos on them. Fill your website and directory pages with images, videos and even audio clips if they relate to your business. If you need help sourcing visual content check out sites like 123rf.com. They have a great selection of royalty free images to fit any budget. Nothing ever get done unless you put in on the calendar, so keep this page handy and remind yourself to check your SEO every six months. It is not unusual for consumers search habits to change or for search engines to launch a major algorithm update. Each year, Google changes its search algorithm around 500 times. While most of these changes are minor, Google occasionally rolls out a “major” algorithmic update (such as Google Panda and Google Penguin) that affects search results in significant ways. If you enter an address on Google Maps, you can get an HTML embed code to add the map to your website. Just click on the link icon to get the code. You can also click on the “customize” link to choose sizing and other features for your map before embedding it on your website. Copy and paste the HTML on your website. This is a great way to help visitors to your website find your location easily, and it tells a Google search bot more about your location. Keep in mind when doing local search and social optimization is that it takes time to see the fruits of your labor. Let us know in the comments section if you have any questions about this handy little cheat sheet for local business SEO practices. Would you add anything else to the list? Nice post! Helped me understand many things. Trying to get my new website on the first page of google in my area..I took your advice and have been registering with all local business listings..Still need more help…but am perservering..
Actually from my observations what is missing here is Citation Authority vs number of Citations. A site that has less citations can actually out rank one that has many more, if the citations have a higher page authority. Essentially you could do a backlink campaign on your citations that could boost their overall authority, which in turn could boost your rankings. Another thing I don’t see mentioned is the actual URL. From my experience, URL can play a big role in local SEO. An example could be a Chiropractor that also has the city name in the URL. Wow! Agreed. This is a great list. Thanks! There are sponsorship links that, unlike all others, are SEO optimized and goes way beyond your typical charity sponsored links! Also great for local businesses because it includes a citation. Probably good to mention that with charity sponsor links, while it may cost you some, you are giving back, and, besides the good feeling you get inside knowing you are helping, you also get good karma and a tax writeoff. Definitely a great guide who is looking to start and improve local seo of their business . Using local keyword in content and meta tags will be very helpful in ranking for local keyword consumer searching for. And yes listing to local directories and local information services website surely boost in brand awareness and of course in ranking. We are noticing that seeing ranking results, even local ranking for a keywords is taking longer. We often tell our clients that it may take 6-12 months to see first page rankings. Hello I Run A Mobile Massage Business In Queens NY, Body Massage Spa,Im Showing Up On The First Page On Google For A Lot Of My Keywords In Queens But Only A Few In Manhattan Where Most Of The Business Is, What Can I Do To Rank More Keywords In Manhattan? Thanks for share with us an important article . we have learned a very powerful tips from your site. All the 10 factors are really great.. thanx men.. i m going to try on seo ranking using this factors.. i want more info..please suggest me more idea..? Great post on seo ranking factors! Really enjoyed reading!! Please suggest me with more ideas. One can also check Digital Marketing Course Jaipur for more information on seo. Nice post on SEO ranking factors. All factors are very helpful.I will apply these factors in SEO. Thanks for sharing this information. Very practical tips, truly an eye-opener. Search engines are actually giving more priority to local searches as opposed to global searches. One way to leverage this shift is to claim our Google places listing and optimizing it properly. Complete it to the max and one should find it much easier to get a nice spot in the rankings. Great post. I am looking for a tool which will manage all local search. Directories like Yell etc. I have seen something Yell has and it looked interesting. It would scan your site and then scan the internet for directors and social sites with your business content. It would then not only grade the content but point out errors of mistakes. Really helpful post Charlie. Well thoughtout and constructive. This blog is really informative and has helped me a lot to focus on my SEO needs as well. The tips are good for a small business to get higher rankings in search engines. I suggest readers to go through this post to get better results in SEO rankings. i will follow your instruction. Really all seo ranking factors are good for small business .it’s helpful for all seo beginners also for me. Very Useful and practical tips. According to me, everyone should follow these tips. Interesting seo ranking factors you share here for us. I was exactly searching for. Thanks for such post and please keep it up. Backlinks are also the key to having a tangible position on search engines. This post is totally helpful for anyone who is trying to get on the highest positions on top search engines. Continuous case studies is where you learn the most! So keep yourself abreast of the digital world of marketing and you’ll come a long way. Kudos to this article. This is what I was actually looking for. I totally agree with all the points to gain ranking at local listings. Thanks! In starting My website citation flow was above 30 but as my keywords and backlinks increase my citation flow goes down. Can you please suggest me how can I handle it. If you have time sign up for our SEO forum and post more details. Link: https://www.seomechanic.com/register/. We can also track the conversation better. Have to believe that Charlie you have managed to cover almost all things about LOCAL SEO optimization. and it’s really nice post. I will surely bookmark it for my future reference. Thanx CHARLIE, for sharing these ideas. 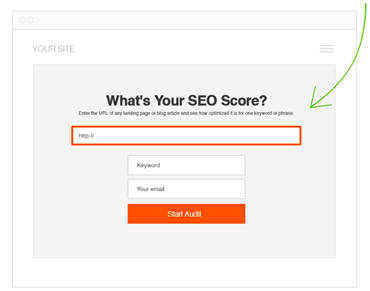 i hope they may be very helpful for all SEO’s. Thanks for leaving a comment! Yeah SEOs and webmasters would benefit from these ranking factors. Thank you for the article and the suggested useful tips. Which Local SEO tip did you find most useful for your business? Thanks for the comment! What was your favorite part? Also how long have you been doing SEO? Amazing top 10 tips about local SEO ranking factor for local business. This very effective tips and I applied for my local business website. All of your tips good result and ranking show me. Thanks for share this information. Great blog on Local SEO Ranking factors! I like the Bonus Tip -“Embed a Map” in your website. Generally, people don’t add embed map in their site. Interesting information and attractive.This blog is really rocking… Yes, the post is very interesting and I really like it.I never seen articles like this. I meant it’s so knowledgeable, informative, and good looking site. I appreciate your hard work. Good job. I read your full article and I really liked your way of writing. You explain all points in very simple way,it will really helpful to local business marketing. Nice article! However, I would also like to suggest adding the local address of your business in the footer area to make it more relevant. Also, adding a Geo sitemap can also help. I am so thankful for such a perfect post. Your data is extremely useful for our business SEO Sydney. A debt of gratitude is in order for sharing with us.